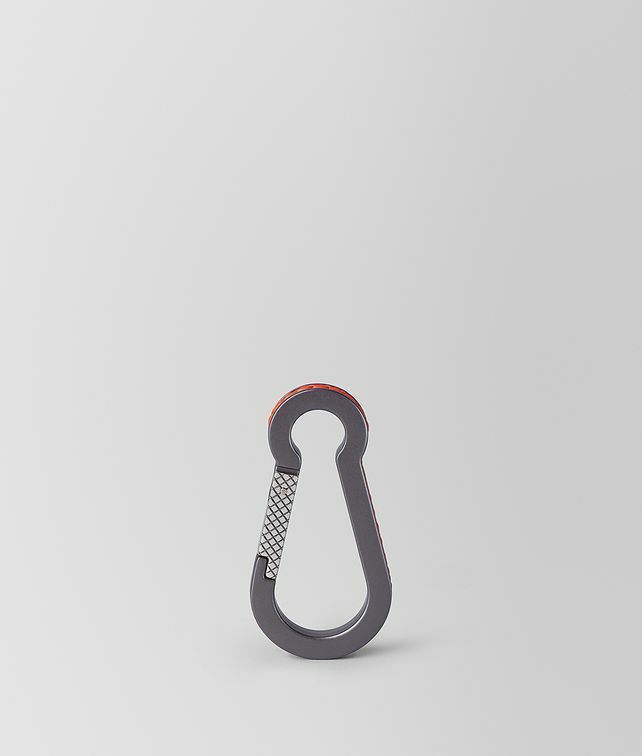 The carabiner gets a luxe upgrade with intrecciato engraving and our signature coaxial pattern accenting the perimeter. It is crafted from brunito-finish metal with hand-woven nappa leather detailing. The engraved gate is finished in antique silver for a subtle contrast. Use it as a key ring or clip it onto a bag to add a discreet personal touch. Height: 7.5 cm | 2.9"